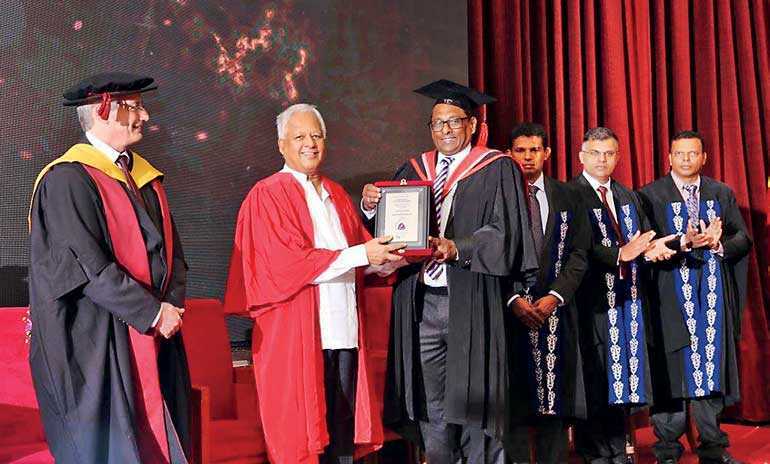 London Tech University held its annual graduation recently with Foreign Affairs Minister Dr. Sarath Amunugama as the Chief Guest. 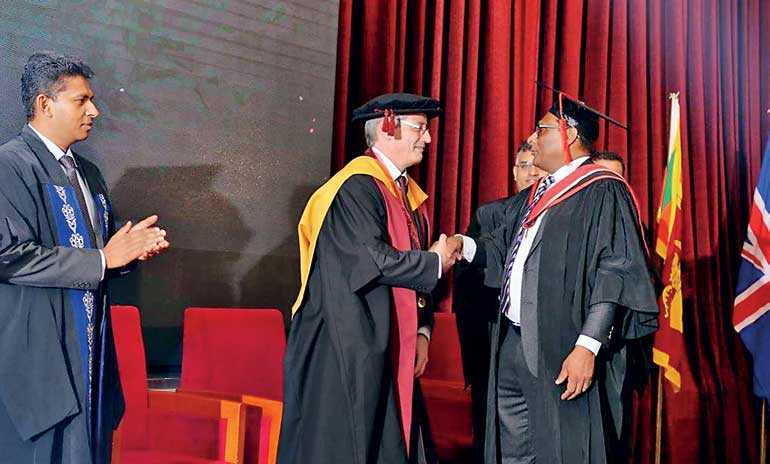 Guest of Honour was UK Teesside University’s Associate Dean (International) Dr. Gordon Marshall. London Tech University’s Principal M.H.A. Zufer presented a special memento to Minister Amunugama.